Vedic astrological charts are read from the sidereal ascendant, called the Lagna. The horoscope can also be read from the vedic moon sign. You can find your vedic lagna by clicking here! The month of October begins with the last few days of the lunar month Bhadrapada. This month carries the energy of the lunar mansion called Purva Phalguni, a constellation that nourishes and supports most people by encouraging rest and relaxation. It is a good constellation for vacations. For spiritual practitioners, the energy of this constellation is good for practicing sacred sexuality, internal alchemy, and some more active forms of spiritual practice like Qi Gong. Healing retreats and herbal medicines are also good at this time, as the solar energy helps strengthen the medicines in this constellation. For everyone, this constellation works on the heart and our ability to relax and enjoy leisure time with our loved ones. Often in life, we get too busy and stressed out and forget to enjoy the fruits of our labors, or accidentally neglect those we love because we get tunnel vision on our work. Purva Phalguni is about balancing both; its represented by a day-bed of sorts, like a divan, and indicates a relaxing rest between morning and afternoon work, kind of like taking a siesta to relax and recoup a little bit. In today’s fast-paced world it’s important to remember how to do this. On October 9th, the lunar month of Aswayuja begins, which is regarded as a generally auspicious sign with benefic energies. The specific constellation influencing this month is Hasta, which means “hand”, a title fittingly attributed to a sign that is connected with achievements (the “works of the hands”) and destiny (palmistry, the lines of the hands). This is an important constellation for spiritual practitioners because it is ruled by Savitur, the benefic solar deity who presides over the Gayatri mantra, the chief mantra of spiritual evolution and purification in India. The energy of this month is good for prayer and devotional work, purifications, and mantra initiation, and when we consider the aspect of Saturn on the Sun at the beginning of the month there is even more support for spiritual practice and some austerity. The month begins with the ascendant lord Mars strongly placed in Capricorn, where it has a strong aspect on Aries itself. This is a very supportive energy for all endeavors, whether it be health finances, work, etc…but is particularly good for work. 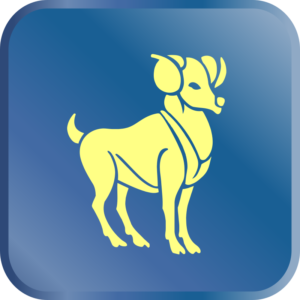 Capricorn governs your sense of destiny, purpose, and career, and the presence of a strong Mars here helps give a lot of drive and initiative for you to develop your career. Mars is a planet of quick and rapid motion, so it is preferred to begin projects and work under this influence as opposed to continue working on old projects. Setting up multiple streams of income is good, and real-estate is especially connected with Mars. The influence of Ketu on Mars is troublesome for some aspect of health, making some hidden sicknesses rise to the surface or causing a good bit of stress in relation to work. This is probably my biggest concern with this combination; that the strong Mars alongside Ketu can cause a good bit of stress from the extra work. The presence of a strong Venus in Libra should help offset this for at least this month, but once Venus leaves Libra and enters into Scorpio the continued strong energy of Mars may lead to more stress and a large workload. Make sure to pace yourself, since it will be easy to overextend your energy and end up signing up for more work than you can handle! There is a lot of work happening this month in how you express yourself and your relationships to others. The month begins with Jupiter and Venus both in Libra, where they were last month as well. This combination has been good for having run and relaxing, but has resulted in considerable expenditures for most Aries ascendants. On the 5th, Jupiter leaves Libra and enters Scorpio, and simultaneously Venus enters retrograde. Jupiter leaving is actually a good thing, but the retrograde Venus in Libra means there are some lessons you’re going to have to learn about the heart, and its probably going to sting a bit. The first two weeks of October won’t be as harsh, and the retrograde Venus could just cause distance between you and a lover, or could put a business contract on hold. On the 16th, the Sun joins Venus and this is a much more problematic transit. The Sun really doesn’t like to be here in Libra. In fact, it dislikes it so much that we call it “debilitated” for the 1 month each year that it occupies Libra. The Retrograde Venus and Debilitated Sun in Libra for the last half of October is pretty rough for relationships, partly because it makes it too difficult to figure out what you really want out of life, which spills over into confusion about what you want in relationships. The weakness of the Sun dims your vision of the future making you doubt yourself too much, while the retrograde Venus can confuse your passions and emotions, turning your feelings into an unreliable compass for life decisions. The main remedial measure to take in this regards is just to know about it ahead of time and make sure not to make any important relationship or business decisions for most of October. Jupiter moves into October on the 5th, which is a big transit because Jupiter will only change signs once a year on average. Even though Jupiter likes to be in Scorpio more than Libra, Scorpio does pose some issues for Aries ascendants, making you at risk for health issues related to the liver and blood sugar, complications with the health of grandparents, and obstacles to your education (worldly or spiritual). Despite these things, this can be an excellent transit for spiritual practitioners (even with some obstacles to your education and distance from teacher). Scorpio represents the unseen world and powers of the spirit realm, while Jupiter rules education and spiritual training. Thus initiation into the mysteries and profound spiritual experiences are possible during this transit so long as you stay diligent with your practice and don’t let yourself be too impacted by some setbacks. The exact opposite is possible as well, especially if the 9th house of Sagittarius is weak in your natal chart. If you don’t persevere with your practice and way of life, you are at risk to lose it completely! So this is an important year of spiritual trials and tests for you, with great rewards in 2019 for those who succeed. Your ruling planet Venus will be strongly placed in Libra all month, which comes with some ups and downs to it. The upside is that Venus in Libra adds a lot of energy and power to the physical body, and one of the best ways to use this energy is to get in shape, go to the gym, and work on your diet. If you have any large, stressful work projects that need to get done then October is a good month for it because of all the extra energy made by this combination. The downside to this transit is that Venus will be retrograde for most of the month, and joined by some difficult planets that can cause some problems with family, co-workers, and education endeavors. The most troublesome transit here will be after the 15th when the Sun enters into Libra. This can cause problems with your office and house, and could also cause a problem with a landlord for where you live and can also be problematic for people who struggle with depression (the debilitated Sun can make it hard to stay positive about life). A great way to transform these solar problems is through some kind of personal therapy, physical therapy, or working to renovate or improve your office/home. On the 5th, Jupiter leaves Libra for Scorpio, where it will reside for much of the upcoming year. Jupiter in Scorpio will work to ennoble your ideas and beliefs around relationships, elevating your desires from a baser self-gratification towards a deeper and genuine concept of love. Though Jupiter is naturally a strong benefic planet, for Taurus ascendants it can be problematic in its transit through Scorpio. Yes, it will help improve some of your beliefs and plans for your relationship life, but it can also cause some pretty serious health concerns if you don’t take care of diet. If you are already struggling with blood sugar and insulin issues, then you need to be very diligent in the upcoming year since Jupiter in Scorpio can trigger diabetes and Liver issues. 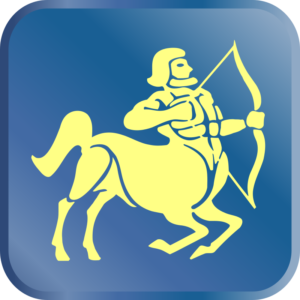 Despite being troublesome for health, Jupiter should be quite good for improving finances during this year. On the 25th Mercury will leave Libra (where it wasn’t very happy and likely caused some issues with family and friends) and enter into Scorpio, joining Jupiter. This Jupiter-Mercury combination early in Scorpio is good for bringing new business partners, job promotions, and career opportunities your way, and there are no malefic planets obstructing this transit, so such an opportunity should be pursued if presented. Your ruling planet Mercury begins the month well placed in Virgo, where it has been sending your energy towards practical matters such as your office space, your housing situation, rental or mortgage agreements, and possibly education as well (in a vocational or technical school) for the last month. It will leave Virgo and enter into Libra on the 5th. For educational endeavors, creative writing, artistic work, and house-work, this is a pretty decent transit. 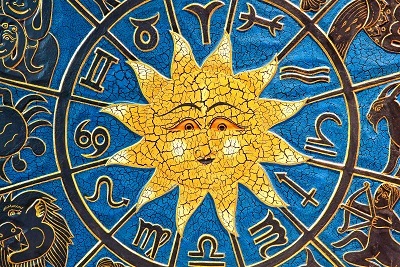 Some expenditures are likely due to Venus being lord of the 12th house (debts and losses), but these expenses will likely be put towards good use instead of just being a financial loss. A strong Raja Yoga (a special combination that creates power and elevates a person) is formed by the association of Venus and Mercury in Libra for most of the month, so ultimately we should expect this to give good results in most of your endeavors, despite some expenses. On the 25th, Mercury leaves Libra and enters into Scorpio where it joins Jupiter. This Mercury-Jupiter combination in Scorpio means the fun and games of the previous month are over and now it’s time to get back to work. You may have a new partner you have to work with or train, and your superior may have a good bit of extra work for you to take on. Mercury and Jupiter together are good for creativity and thinking outside of the box, so this is a good time to accomplish creative goals and tasks. No malefics aspect this combination, so despite causing some extra work for you at the end of October and into November, this transit should ultimately give good results and find you in a better placement at work. Mars and Ketu still reside in the difficult sign of Capricorn. Injuries are possible for siblings and for yourself, especially to small joints such as wrists and ankles. The health of family members can be afflicted from this transit. Avoid dangerous activities or strenuous sports until Mars leaves Capricorn early next month. Jupiter makes a big transit into Scorpio on the 5th of October and will continue to pass through Scorpio for much of the next year. Scorpio is a sign that rules over service and hard work, and Jupiter’s placement here is great for all kinds of humanitarian work, charity work, and for those on the spiritual path, it indicates divine service to the Guru or to brahmins/priests. This energy has a full aspect on the parts of your chart that preside over career and family. In career life this can result in being an assistant manager or some high position working directly under the boss. In family life, this indicates loving service and care rendered to your grandparents. Jupiter’s transit through Scorpio is not great for romance, so marriages or other important romantic milestones should be delayed until Jupiter happily resides in Sagittarius next year. For the last few months you have had very powerful transits for personal transformation and development. The egoic energies are being refined tremendously during this time, and this process has been going on since April and will continue throughout this month, but October is the final month for this powerful period (so make the most out of it!). Establish your good habits before Mars leaves Capricorn in early November. Your living situation has likely been fairly static for the last few months with no changes for better or worse, but expect some change as Mars leaves Capricorn and frees up some energy in the stars again. The Sun begins the month in Virgo, and the first few days of October may still lead to traveling and planning events, but once Mercury leaves Virgo on the 5th the Sun will be alone in Virgo for another 10 days until it enters Libra on the 15th. Until the 15th, you may be working on your education, learning new skills for some upcoming work, and spiritually minded Cancer ascendants can use this time to refine their own Sadhana/spiritual practice. After the 15th, we have a pretty different situation that arises. The Sun enters into Libra, a difficult sign for it, and joins a strong Venus here. The Sun in Libra alongside Venus means you’ll be spending time with family, and the conjunction of the Sun and Venus is very good for opening the heart and for spiritual discipline. The weakness of the Sun in Libra means there may be a problem with your house, or a change to your living situation may cause some stress, but the strength of Venus here should alleviate the stress in the form of love and support from friends and family. 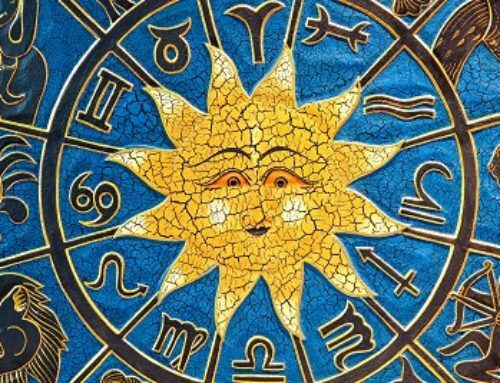 In general the Sun doesn’t like Libra so it will cause financial difficulties and problems with your house or office, but these problems won’t be as overwhelming as they could have been due to the strength of Venus in Libra bringing happiness into your life and opening the heart. On October 5th Jupiter makes its big transit into Scorpio, where it will reside for much of the next year. Jupiter in Scorpio activates all the parts of the chart that deal with spiritual growth, devotion, philosophy, principles, and character. It is an excellent transit for all educational endeavors, for serving the Guru, for charity works, and for refining your character. It is completely unimpeded by any malefic planets for the foreseeable future, so you can expect it to bring unmitigated blessings into your life. It also carries with it the potential for family and having a child, for those looking to start a family. This is the last month to take advantage of the powerful exalted Mars in Capricorn. Its energy is good for serving the teacher, working on your home or office space, and refining the physical body through diet and exercise. Any habits you want to set in motion should be worked on this month, since once November comes around it will be a while before Mars grants this kind of strength and energy to your chart again. The energy of Ketu and Rahu will be worse once Mars leaves, and you’ll find that expenses will rise and some conflicts with people are possible, especially among peers/co-workers, so be mindful of this and measure your actions accordingly. 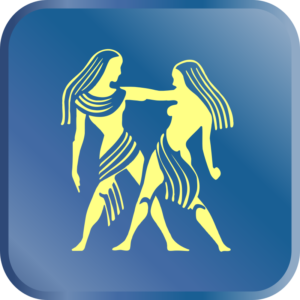 Use the ennobling powers of Jupiter in Scorpio to refine your character and exalt your views of others and the presence of Ketu in Capricorn will be powerless to cause any problems. In speaking of Jupiter, this planet makes a huge transit and change in zodiac signs this month (on the 5th of October) when it leaves Libra and enters into Scorpio. This is a great transit for Leo ascendants (or even Leo Sun/Moon signs) as it creates a beneficial raja yoga in the 4th house of Scorpio. Raja yogas create a lot of power wherever they occur and are very capable of elevating your position in both your personal and professional life. This transit will last throughout much of the next year, and during this time your place of work may change or have some serious improvements made to it. This transit supports any educational endeavors, and can also help pay off debts, specifically larger debts such as vehicle loans or house mortgages. The month begins with the Sun in Virgo alongside Mercury, where it was for much of last month and was good for finances and spending time with family. On the 5th, Mercury will leave the Sun alone in Virgo, and the Sun will be in Virgo by itself until the 15th. Without the strength of Mercury alongside it, the Sun simply gives mediocre results here and no big improvements in finances are likely. In fact, the aspect of Saturn on the Sun may cause some financial troubles during this time. 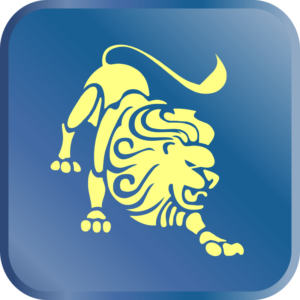 After the 15th the Sun will be in Libra, which is a difficult place for Leo ascendants because of how weak the Sun is here. It is important to take care of your health throughout October and into the first two weeks of November, because the presence of Ketu in the 6th added to a debilitated ascendant lord Sun mean the physical body’s immune system and nervous system are weakened, making you more likely to get sick from contagion as well as over-exertion or bad diet. This is not a good month for travel either. The lord of your sign, Mercury, begins the month still strongly placed in Virgo, which should have been good for business activities, self-employment, and really just should have supported the whole chart all around. On the 5th, Mercury leaves Virgo and enters into Libra where it joins a strong and benefic Venus, creating some raja yogas (power-combinations that confer status and success) and Dhana yogas (wealth-producing combinations). This transit will last throughout most of the month, and can help to overcome some of the financial troubles of the last few months caused by Rahu and Ketu. You may end up spending some time with family as well, but the main emphasis is on directing your energy towards refining your concepts of wealth, how you make money, putting business plans into action, or learning financial management. On the physical level, this transit is good for refining your diet and fixing your digestion if you have been having problems in this area of life. This is a good transit for singers, public speakers, and politicians, as the influence of Venus on Mercury “sweetens” the voice and makes it easier to speak with others or perform. On the 5th, Jupiter will make its long-awaited entry into Scorpio, where it will reside for much of the next year. This is a good transit for all creative endeavors, especially those that involve writing, but it can cause some difficulties for relationships and also lead to a good bit of travel or some instability in your living situation. Scorpio is a sign that impacts your personal character development, your courage, intellect, and skills. The presence of Jupiter here helps to elevate the character and your actions, improves finances and is good for business travels, but the jyotish shastras (astrology treatises of antiquity) also warn that this placement can lead to infidelity in relationships, and I would add that there can be a real threat of this when Venus joins Jupiter here in January and February of 2019. This should only happen if your lifestyle and mindset are in such a mundane and sensual direction that you can’t make any use of the beneficial aspects of this transit for personal development. The Sun begins the month in Virgo, where it can still lead to travels or good investments. After the 5th the Sun is not quite as auspicious in Virgo, since Mercury will leave it and the Sun will have a lone aspect from Saturn causing some trouble here. This aspect from Saturn can cause financial problems related to your house or office/vehicles, or problems with an old debt that you have been avoiding, or likewise taxes that have been out off for too long. 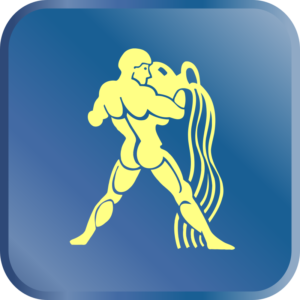 On the 15th the Sun leaves Virgo and enters into Libra, where it suffers debilitation and can cause further issues with debts, this time more focused on vehicles and education. The strong Venus should make any such problems easy to take care of, and help may come from family or specifically the father. Libra has a lot happening in it this month, making this an important month of change and transformation. An important thing to understand about Libra is that it is one of the most energetically sensitive signs, so the sarpa yoga (snake/restriction combination) that has been afflicting your chart since May has been particularly difficult to deal with, especially considering that it is a 4th/10th house axis sarpa yoga, the most difficult sarpa yoga to deal with as it diminishes happiness, causes stress, and stagnates work. The good news is that the sarpa yoga itself ends next month when Mars leaves Capricorn, the bad news is you still have to hammer through October. But even this has some help this month since the ascendant lord Venus is very strong in Libra, and such a powerful benefic can help break the bad effects of the sarpa yoga, or at least greatly pacify the evil caused by it so that you can make it through October easier. So what can you do to make sure you attract as much of this positive Venusian energy into your life as possible this month? First and foremost you need to work on your health. Venus rules aesthetics, and a healthy and positive appearance boosts personal confidence, not to mention a healthy body has much more energy to accomplish things while a sickly body gets easily overwhelmed even at simple problems. Another thing you can do is just have some fun! Venus is the planet of romance, dance, music, and festive occasions. For the last year, Jupiter has been moving slowly through Libra. This has been a difficult transit seeing as how Jupiter tends to do more harm than good for Libra ascendants. But what is the source of this harm? Jupiter is an important planet for initiating personal trials and struggles in your life that are meant to elevate your sense of self and redirect your purpose. If you can change your mindset to really see Jupiter as a Guru (literally the word for Jupiter in Sanskrit) then this transit can bring a lot of positive change, despite having caused a difficult year. This aside, Jupiter will finally leave Libra on the 5th and enter into its new home in Scorpio, where it will reside for much of the next year. Scorpio is a very important sign because it supports the ascendant, meaning not just the physical body but all of your activities are supported or weakened depending on how strong Scorpio is. Jupiter luckily makes Scorpio quite strong, and gives much better results here than it did throughout the last year in Libra. It can improve finances by creating multiple sources of income, and should also be used as a chance to enhance your physical health through diet and exercise. Working alongside your family can be beneficial for the next year, and could open up new financial opportunities for you. A good bit of travel is likely while Jupiter is in Scorpio. By the 15th, you will have Venus, the Sun, and Mercury all in Libra, about 10 days after Jupiter leaves Libra for Scorpio. Venus will obviously give good results here, so let’s look closer at the Sun and Mercury. The Sun’s residence in Libra has financial and spiritual implications that you need to prepare for. Financially this isn’t a great transit, as the Sun is debilitated here, which weakens the possibility of income. Spiritually and personally this is actually a great transit. The Sun is an important energy for developing the ego and personality, so when it becomes debilitated it makes the egoic energies more malleable and workable, allowing you to refine your sense of purpose and destiny, and reshape your egoic energies into the person you would like to become. This can happen quite naturally this month because the benefic power of Venus will make it easy and give you support for this process. However, if you’re prone to a critical or negative view of your experiences then it may still be difficult, as a debilitated Sun can make people feel weak, directionless, or depressed. As I mentioned above concerning Venus, it is very important that if you begin to feel these negative effects that you start doing Venusian activities to intentionally enhance the supporting power of your ascendant lord Venus. The biggest transit of the year is happening right on top of Scorpio this month. On the 5th of October, Jupiter will finally leave Libra and enter into your rising sign Scorpio, which is a MUCH better place for Jupiter to be. For the last year Jupiter has moved through Libra, diminishing your savings and reducing income, as well as causing some big travels out of the country. Now it’s entering Scorpio, where it creates some raja yogas (combinations that increase status and power) and Dhana yogas (a combination that increases wealth). From the ascendant, Jupiter will strongly aspect the parts of the chart associated with self-growth, education, and spiritual development, making this a good year for personal cultivation in all areas of life. For Scorpio ascendants Jupiter is primarily concerned with family in both aspects; your immediate family as well as starting your own family. Couples trying to start a family will find blessings in this next year, really the next two years. For bachelors or those unconcerned about such things, this year-long transit is excellent for education and finances, as well as all acts of creativity and writing. For the rest of October your ascendant lord Mars is still going to be exalted in Capricorn, meaning there is going to be a lot of energy in your chart between Jupiter and Mars. This is good for serving others, especially those who are physically impaired, and is also good for exercise and maintaining the physical body. Short travels are as equally possible this month as they were in previous months. The presence of Ketu with Mars alongside the full aspect of Rahu means this is still a time of self-growth and transformation, Rahu in the 9th house of beliefs making you refine your own principles and views on life. Mercury and the Sun start the month in Virgo where they receive a difficult aspect from Saturn that gives increased finances but under the strain of increased work, and the financial increase is quite minimal. On the 5th, Mercury leaves its exalted state in Virgo and enters into Libra where some interesting planetary yogas (combinations) take place. Libra is usually a difficult sign for Scorpio, but this month Venus is transiting there making it very strong. This transit is good for getting money from investments, but also may simply indicate a relaxing vacation and the expenditures that come with it. Mercury will spend most of the month here, which again indicates expenses, but the strength of Venus will either mitigate these expenses completely or use them towards a rewarding end, such as making money from an old contract or sale that hasn’t come through until now. You may also sign a lease for a vehicle or take on some kind of fiscal obligation. Now the problematic part is the debilitated Sun….this is harder to predict how it will act. There is a technical combination known as “neechabhanga yoga” that reverses the debilitation of a planet, and the conditions of this combination are being met in the sky, but in my own experience, this combination only gives results in the natal chart and not in transits. Instead, the debilitated Sun may cause issues with work, or you simply may take extra time off from work, while the strong Venus makes sure that you are having a good time and not suffering too much from this situation. In other words, the debilitated Sun is still going to cause problems (it has to…it’s so weak in Libra), but the strength of Venus means these problems won’t be taken as seriously or be as difficult as they otherwise could have been. Still, expenses are likely in the form of government or organizational/membership dues and fees, vehicle or house expenses, and health. There is a huge transit happening this month for Sagittarius ascendants in the form of Jupiter making a shift from Libra into Scorpio, Jupiter being a planet that only changes signs once a year, so its a big deal when it happens! Jupiter rules Sagittarius, so it has a particularly pronounced effect on how your direct your energies in life, and which area of life you cultivate the most, so let’s examine this transit for a moment to better understand it. Scorpio represents the unseen world, desire for moksha (spiritual liberation), and renunciation/meditation, but it also can represent debts, losses, and high expenditures, and it is likely you will see a mixture of both of these effects throughout the next year. This is a good time for moving residences or even taking out a mortgage on a new house or office space since this transit has a particular influence over your living situation, but this same aspect can lead to international travels and personal journeys. Whether for better or for worse, finances will likely be difficult for the next year, even if the expenses are for a good cause (like a new house). For people more advanced on the path of meditation, this next year is an important year. The energies of Jupiter in Scorpio can help open conscious mind into the subconscious realities, and open the way to the spirit world and higher states of consciousness. October is the last month that Mars will be transiting Capricorn. This rather long transit of Mars (since May) has been a mixed bag of results. As the lord of Scorpio in the 2nd house it can cause problems with your living situation, landlords, expenses due to health and family, and in general can make finances scarce. As the lord of Aries though, it beings quite a bit of blessings in regards to spiritual practice, education endeavors, and personal growth. The presence of Ketu means some of the negative indicators mentioned above were more prevalent though, so expenses and problems with family or immediate household were likely an issue, and digestive troubles can be caused by these combinations as well. Next month Mars will move on from Capricorn and some of the difficulties it caused will cease. The month begins with the Sun and a strong Mercury in Gemini, coupled with a very strong Venus in Libra. All of these indicate a sudden shift in work and finances for the better, especially for management and communication jobs, or sales jobs, but most of this would have given its effect in September when these transits were at their height. In October they are still active for the first week, but after the 5th Mercury leaves Virgo, and on the 15th the Sun leaves Virgo as well, meaning whatever change will occur in your career situation will have to occur by 15th. Now after the 5th, you’ll have Venus and Mercury strong in your 11th house of finances, which is excellent for all forms of trade, marketing work, and creating multiple source of income. For jewelers and salesmen this is also a good transit, but the transit is at its best from the 5th to the 15th. After the 15th Venus and Mercury are joined by the Sun, and unlike them, the Sun performs badly in Libra. From the 15th of October to the 15th of November the Sun will be debilitated in Libra, but we’ve all kind of lucked out because Venus is there very strong, which offsets some of the problems the Sun would normally cause here. Its a little difficult to predict how this will work out, but its likely to go something like this: despite a change in work situation that was likely positive, you’ll be working less while the Sun moves through Libra and thus likely making less money too, but the strength of Venus will make sure that you’re enjoying yourself and the loss of work isn’t too big a hindrance. 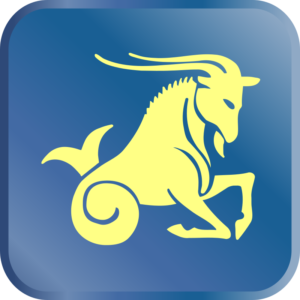 Capricorn has been having one of the most intense years of all the signs of the zodiac. An exalted Mars has been giving you a ton of energy since May, which is excellent for laying the foundation for huge projects, or even literally laying the foundation of a building. My main concern with this is that Mars is naturally a malefic planet for Capricorn, and it has been coupled with the intensely karmic powers of Rahu and Ketu all year, the nodes of the Moon that are meant to change up our life situation and put us through various physical and psychological trials. Mars, Rahu, and Ketu all add up to a karmic cocktail that has been going off in your ascendant since May. This has brought important changes to your relationship life as well as your career and the direction you are taking your life. This is the last month of this combination, which is good and bad. The good thing is that the sarpa yoga created by these planets, which often creates constant obstacles to success and progress, will end and this will free up the energy in your chart and give you more control over your success. The bad side is that all the transformative energy and growth that Mars and Rahu bring to the picture will also come to an end, so this is an important month to make a lot of progress on these fronts. Jupiter has a big transit this month, finishing its year-long movement through Libra to finally enter into Scorpio on the 5th of October. Jupiter in your 11th house of Scorpio can bring blessings towards finances in the form of international work, approval of loans, international contracts, sponsors, and other forms of increase wealth that aren’t necessarily your actual wealth but which imply some loss, debt, or contract. It is hard to predict exactly how this will go for Capricorns, since Jupiter is naturally a benefic planet and it generally does well in Scorpio, but for Capricorns specifically, it can lead to expenditures, debts, and struggles. Its strong aspect on your 3rd house is good for all authorship and writing ventures, and its strong aspect on the 7th should support relationships and formalize and make more serious a relationship you are already in. This can also bring international business partners your way. The month begins with the Sun and Mercury strong in the part of the chart associated with education, religious travels, and world view. Both of these planets have deep psychological impacts on you; the Sun connects you to the spirit world and the unseen parts of the psyche, while Mercury guides you through struggles and trials for the sake of self-growth, likely often in the form of miscommunications that get out of hand, or good intent delivered badly. 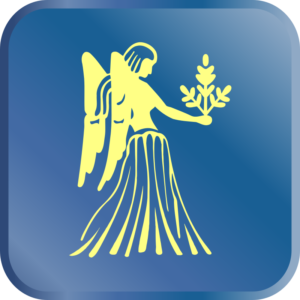 Their presence in Virgo most of last month and the first week of October are good for travel and personal growth but are difficult on the health of the father. On the 5th, Mercury leave Virgo and enters Libra, and on the 15th the Sun does the same. Now Mercury does ok here, but the Sun is very weak in Libra. This creates an interesting situation astrologically that is honestly hard to predict the outcome of. A strong Venus in Libra should be fantastic for your career endeavors, bringing politicians and well-known authorities on-board to your project, or simply opening the channels for progress that have hitherto been blocked by beaurocratic red-tape. Mercury here adds to this, as it is good for establishing contracts and communications in business, helping you to close deals and get the right people for the right positions in your work. The Sun is where things get problematic. 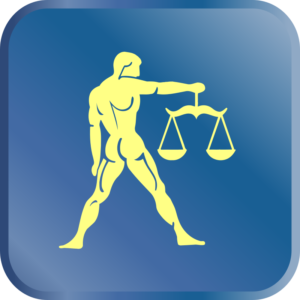 Its debilitation in Libra can cause fees, government issues, legality problems, or simply take away an important supporter for your work, lowering morale in the workplace. The loss of a boss or good manager is another example of what this can do. Yet Venus and Mercury do the opposite of this….so what’s the ultimate result? The result is that there will be a minor setback, but a major step forward, both happening in the next two months. Jupiter will finish it year-long transit through Libra and enter into Scorpio on the 5th. 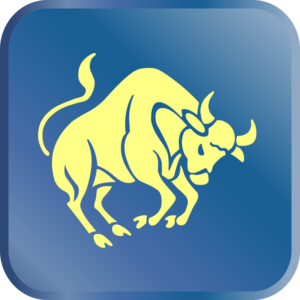 Jupiter’s stay in Libra did improve financial matters, but the improvement would have been meager due to the weakness of Jupiter here. 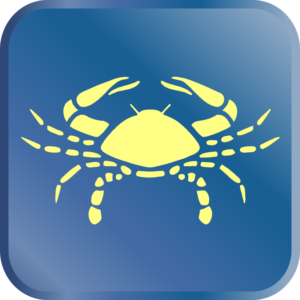 In Scorpio, where it will be for much of the next year, Jupiter will give much better results in career and income, giving promotions and raising your status at the workplace. 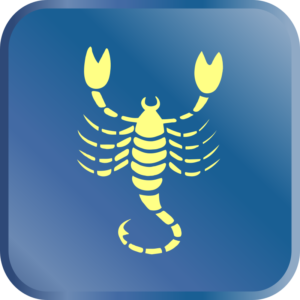 Scorpio deals with more than just work though, and on a grander scale it influences all of your concepts about your goals and aspirations for your life as a whole. Since Jupiter is the Guru of the planets, its transit for the next year is going to try to teach you how to refine your life goals and plan for success. It will either do this indirectly by putting you in situations that make you learn how to manage your money, plan your steps towards the future, and work towards achieving your goals, or it will teach you directly by manifesting in your life as a business coach or someone you look up to for guidance in these matters. This is an excellent year for starting an education that will further your job potential. This is the last month of Mars’ transit through Capricorn, which has been going on since May earlier this year. Because both Mars and Ketu are difficult planets for Aquarius, this transit has likely caused a bit of a hole in your pocket, causing bad financial planning coupled with unforeseen expenses, while the aspect of Rahu from Cancer makes you work too much for menial reward. Now when Mars leaves Capricorn it doesn’t exactly cure these problems since Ketu is still there, but it does do something pretty important; it breaks the sarpa yoga (snake combination) that has been afflicting the sky since May. This frees up the energy in the chart so that the amount of work your putting in (because of Rahu in the 6th) can actually result in better income and positioning, and give you some more free will in this regard. The month begins with the Sun and Mercury still in Virgo, but this doesn’t last long. On the 5th, Mercury leaves Virgo and on the 15th the Sun follows it as well into Libra. Mercury in Libra blends well with the very strong energies of Venus that are already there, creating a great situation for educational endeavors, living situations, and all-around happiness, particularly from the 5th-15th. It is possible you will get a new manager or boss during this time, or just a new co-worker that has to work closely with you. On the 15th the Sun enters Libra, which is problematic. As it stands with just Venus and Mercury there before the 15th, Libra was full of auspicious energy that an improve relationship life, job placement, living situation, and really just supports the whole chart. After the 15th, these auspicious combinations are impeded by the presence of a debilitated Sun, which weakens the physical body and exhausts it, while also causing problems in personal and professional relationships. Now the strength of the Venus in Libra is going to help offset this substantially, but the debilitated Sun is still going to give some negative results. This is a big month for Sagittarius, with your ascendant lord Jupiter finishing its year-long transit through Libra to finally enter into a much better placement in Scorpio. The transit through Libra was difficult for health, and in general just really weakened your whole chart since the strength of the ascendant lord is so important for all of our activities. On the 5th it enters Scorpio, where it is not only in a much friendlier sign but also creates a strong Raja Yoga (combination that produces power and wealth) both as lord of the ascendant in the 9th house AND as lord of the 10th in the 9th house, so technically two raja yogas being made with one transit! The next year should bring success in career endeavors as well as elevate your own sense of who you are and what you are here to do. This is going to be an auspicious year for all spiritual endeavors as well as educational pursuits, and for the more spiritually minded Pisces this transit can direct you towards your spiritual guide and teacher, but it can also lead you to great tutors and mentors in all fields of life. This is the last month that the Mars/Ketu/Rahu sarpa yoga will afflict Capricorn. A sarpa yoga is a combination of karmic planets that restrict the chart like a snake squeezes its prey, and the areas of life it afflicts often come to a frustrating standstill. Since May this combination has been afflicting the Capricorn/Cancer axis of the zodiac, which for you means both income and educational pursuits have had obstacles and problems, potentially even leading to some less-than-legal ways of trying to make some money, especially with how weak Jupiter has been for the last year (the planet of good conduct and morals). October is the last month that this combination will cause problems since Mars will leave Capricorn in early November (which we’ll talk about next month!). The month begins with the same strong Mercury/Sun combo in Virgo that graced the chart last month, but this combination quickly ends when Mercury leaves Virgo on the 5th, and the Sun will follow Mercury into Libra on the 15th as well. When Mercury enters Libra on the 5th it joins a strong Venus, which is very good for business deals, new partnerships, business travels, and increased income. This combination will give the most blessings from the 5th-15th, before the Sun joins them. Once the Sun enters Libra on the 15th we have a complicated situation; Venus is very strong in Libra, but the Sun is very weak in Libra. 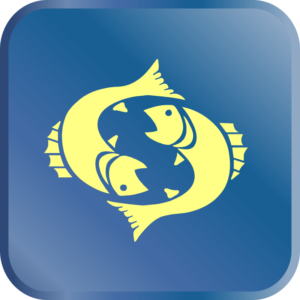 The Sun is an important planet for strength, courage, initiative and drive for Pisces ascendants, so its weakness could make it too difficult to put in the effort required for Venus to give financial blessings. Health can be an issue during this transit as well, since the Sun has a strong impact on the adrenals and it will be in the 8th house, a part of the chart that can trigger illness. The strength of Venus should offset these problems substantially, but some problems will still arise in regards to income and health.